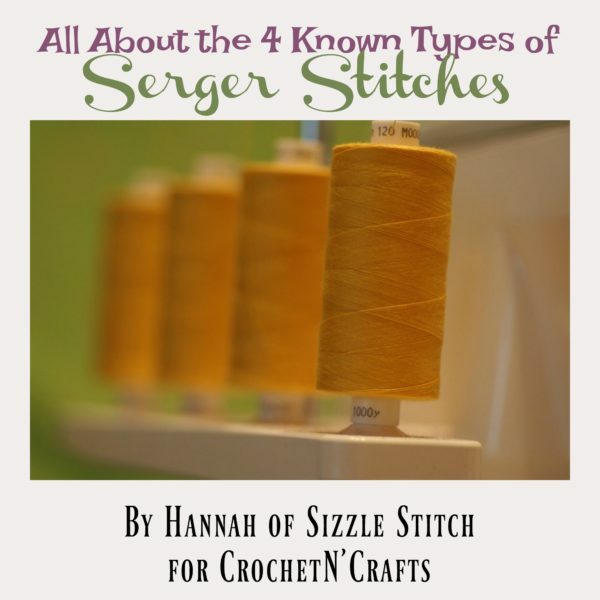 Today we have Hannah from Sizzle Stitch to share with us some basic information about sergers. They are a wonderful machine to have if you do a lot of sewing. They not only save time, but they are also essential for creating professional looking garments. If you are even remotely passionate about sewing, designing or other similar activities, such as crochet or knitting then you’ve most certainly heard about serger stitches. However, in my experience I have discovered that when it comes to actually using a serger there is an incredibly vast gray area regarding the types of stitches that should be used. Obviously, each project is unique in its own way and it all depends on what the finished product should look like and the fabrics you are working with, but all in all, there are a few guidelines beginners might want to follow and tips they should take into account. So keep on reading if you want to find out how and when to use these stitches, what they are all about and how they can make things a lot easier for you! First of all, what is a serger? Sergers are basically sewing machines that can help you finish off certain or, better said, most of your projects. They create neat and tight seams that can give your garments a professional finish and amazing final look. What you need to know about this type of sewing machine is the fact that it has a number of positive and negative aspects. First of all, it can save you a lot of time as most sergers have a rate of over 1500 stitches per minute. This means that you will be able to complete projects much faster and at a higher quality. Second of all, these sewing machines guarantee that the garments you make will not only look great, but will be a lot more durable. On the other hand, you need to keep in mind that sergers are somewhat different than regular sewing machines so if you want to use a serger you will need a set of additional skills to work on one, not to mention the fact that it would probably be quite an investment on your part. What are the most common types of serger stitches? When it comes to types of stitches, you don’t need to get alarmed by all the options available on your sergers. 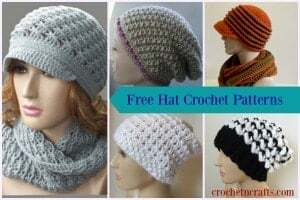 There are, in fact, a lot of variations and a lot of different stitches that you can make use of, but there are in fact four main types of stitches. That is, of course, so you can have an easier time adjusting to the serger and to what it can actually do. As I mentioned before, the type of stitch you use on a project depends on the fabric that you are working with and on the type of garment you are making. The two thread rolled edge is mainly a decorative stitch and it is also referred to as a rolled hem. It is used either on sheer fabrics or on narrow seams. The great thing about it is that it looks great and can be the ideal finishing touch for items such as napkins and tablecloths. This is a type of serger stitch that uses either two or three threads, depending on the serger you are working on. If you are dealing with fabrics that stretch then this should be your go to serger stitch, as it has an unique design meant to keep the fabric in place. On one of the sides the stitch has loops and on the other side some kind of horizontal lines that create what designers call “ladders”. The main advantage of this type of stitch is the fact that it is incredibly flat ad does not overburden the fabric with useless weight. This is probably one of the most popular serger stitches that sewists have been using for decades, especially when it comes to clothing. You too might actually use this type of stitch most often if your projects deal with making clothes or garments. Most designers and sewists alike would tell you that this is the ideal way to finish a seam on clothing. Its main positive aspect is the fact that it is incredibly durable and long lasting so you can rest assured that the items you are making have a superior quality. Although this is not among the most durable stitches you can make on a serger, this one could actually be useful if you are working with woven fabrics or knitted fabrics that tend to stretch a lot, because it has the advantage of not putting a lot of stress on them. The bottom line is that when it comes to sergers, there are certainly a lot of things to learn, especially if you are new to the whole sewing thing. The good news is that there are plenty of tutorials available online that can help you work on a serger and enlighten you when it comes to threading it and other tiny details that might seem overwhelming. In any case, apart from all these technical skills you also need to know what stitch to use on what fabric or what type of project. Hopefully, you will find the information above useful and you will keep it in mind when picking the stitches on your sergers on future projects.